Welcome to Kazu Japanese Restaurant in Jacksonville, FL. Our focus is on fresh, finest quality food, with friendly service. Kazu offers great selections of wine and beer, plus Jacksonville's most extensive cold sake list. Please come and enjoy the most delicious Asian cuisine we offer. We do our best to serve our customers with the quality you deserve! Kazu is our favorite sushi restaurant in Jacksonville, if not Florida. The sushi specialty rolls & the dumpling appetizers are simply terrific. Service is always attentive. And, if one eats between 4:30 & 6, the restaurant offers one regular roll free for every specialty roll ordered. Can’t beat that value. Food and service was good, but floor and restrooms were not clean up to a good or better restaurant’s standards. If you're planning a romantic getaway, this is not the right place. Food was good and service too, but it's just another sushi restaurant in a strip mall. Excellent Sushi. Fresh. Great service. By far the best sushi in town. The rolls are big enough to share, and the sashimi and the nigiri were fresh and melted in the mouth. If you are a sushi lover, I strongly recommend Kazu. Always good and fresh! HOWEVER, I had a reservation via open table and they refused to check me in and as a result I did not get my points. Note: insist they check you in before they seat you. I have called to correct the issue and as of yet has not been resolved. Dining experience was ‘ok’ - servers were a bit over extended. Sushi was not the greatest and one piece of my roll tasted slightly ‘fishy’ which is a turn-off. I don’t live in the area and tried this restaurant based on recommendations - but I probably wouldn’t go again. 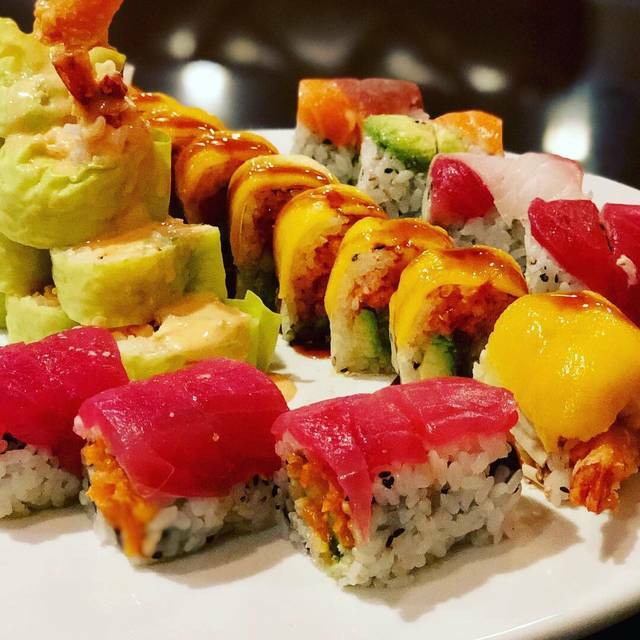 Best Sushi and Japanese in Jacksonville. David always makes sure everyone feels special, food is perfect, atmosphere is comfortable and clean, service is spot-on! For a relaxing night out with delicious food. I highly recommend Kazu! Honestly the best sushi in Jacksonville. A neighborhood gem! My husband and I each got a Bento box. His box was sashimi and mine was tempura. They came with soup, salad, a spring roll, a California roll, our entree and fried rice. Food and service were excellent. We will definitely go back again. Loved it! Went here for my birthday with my mother. The food was so delicious and our waitress was perfect. Only thing is the nigiri was a bit overpriced, but I realize it’s not as popular as the rolls, so I guess I can see where they’re coming from. Was good will be back! Sushi was delicious as always however something was really off this visit. The service and pace of the meal was not great and quite rushed. Kazu is not really a budget sushi spot so I'd expect better. Also it's usually packed and it was not tonight.....wondering if I'm not the only customer who has noticed these changes. Come for happy hour, when they have 1/2 off beer, wine, and sake and Buy one special roll, get one regular roll free. We’ve dined at Kazu ever since we moved to Jacksonville from Tampa 1 1/2 years ago. We were unhappy leaving Tampa if only for the outstanding sushi restaurant we loved. Thinking Jacksonville could never compete, we inadvertently discovered Kazu &, wow, we became the happiest of campers again. 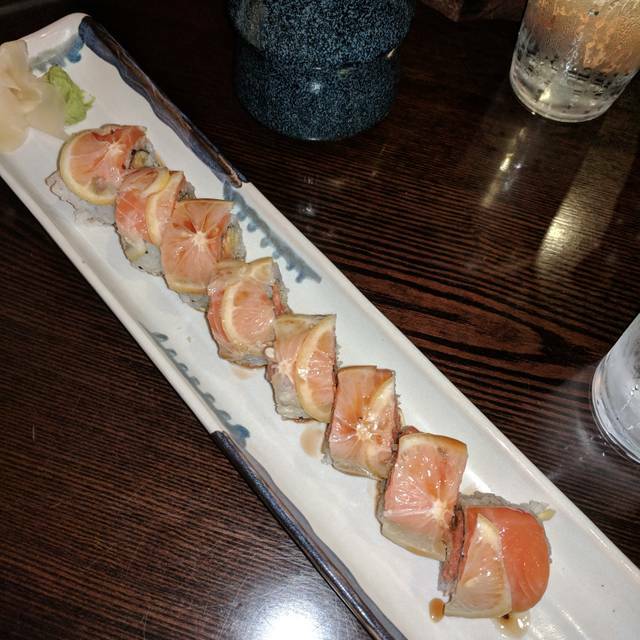 The special rolls that Kazu offers are among the best we have eaten (and in case you can’t guess, we are sushi snobs). Even the regular rolls are excellent as are the various dumpling appetizers. Service is always attentive & responsive. The best, however, is the value. From 4:30-6 pm every day of the week, you get 1 free (regular) roll for every special roll purchased. If you have not yet tried Kazu, you are missing out on great sushi. Sushi is always so fresh! Don't know why it took us this long to try this place. Oh..out of desperation for good sushi which is non existant on tne beach side of Jax. 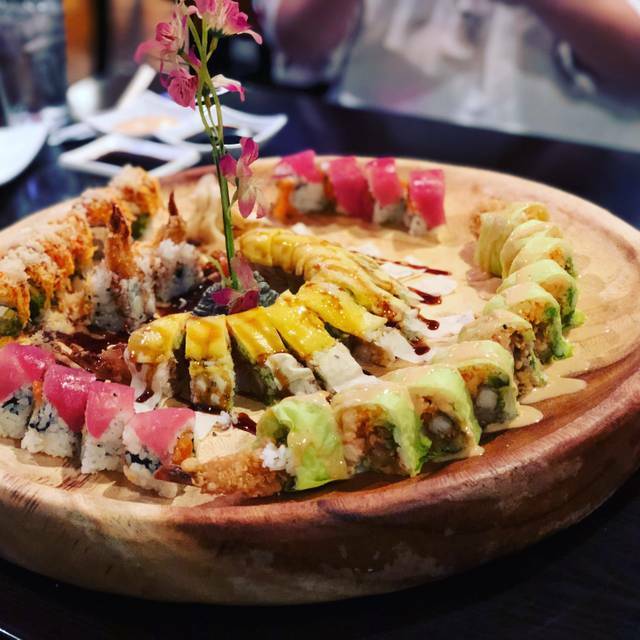 THE best sushi in Jax! Totally worth the 30 minute drive from the beach. 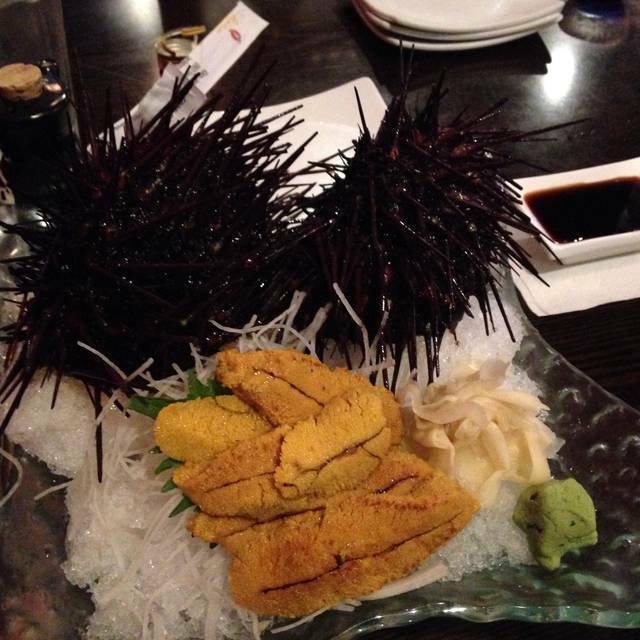 Uni with quail egg! Everything fresh and well presented - simple and yummy. Lots of unusual combinations of rolls which was refreshing instead of the same old rolls. Good selection of sake and the service was excellent. Will definitely be back, too bad they are not at the beach. This is by far the best sushi restaurant in the greater Jacksonville area! Birthday dinner. Food, service and setting were good but not impressive. More food than I could handle. Very good. Only problem is that food does not come out hot. I find this with many Japanese Restaurants but not so with Chinese restaurants. Interesting. A great neighborhood spot for weekly dining! Always good, fresh sushi! We had a fantastic dining experience at Kazu celebrating a friend’s pregnancy! They were kind enough to accommodate our large group and the service and food were excellent. We will definitely be returning! Thank you Kazu! Had sushi for 2 with the snow maiden sake. Will be going back! Must try! 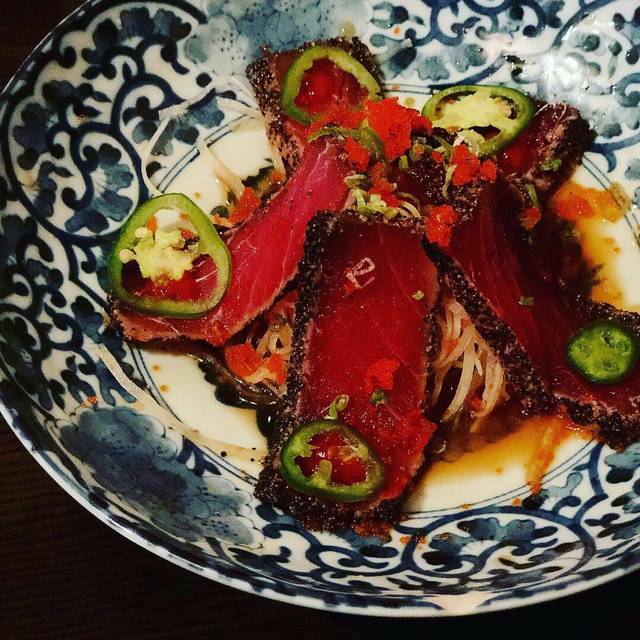 We found Kazu on the top 50 restaurants around Jacksonville list. It’s a great date night restaurant with nice ambiance, good drinks and good sushi! We tried this place on a busy Monday night. The place was crowded but there were still a few tables available. We ordered the sushi for two and it did not disappoint. Service seemed a bit spotty. Our server was sweet and friendly, but we sat for a while before she came to the table and asked if anyone had taken our drink order. She quickly apologized for the delay and took both our drink and dinner orders. Drinks came out quickly followed by the salad with ginger dressing and the miso soup. Once we were done with that, we again sat for a while before she came back and collected the dishes and asked if we wanted another beer. Sushi arrived shortly after the second beer and it was very fresh and delicious! Will return. Amazing Valentine's Day Dinner, quite and relaxing. Our food was to die for, we had a good time and we will be back. Disappointed that I was charged for my meal when the table next to us dropped their sauce and it got in my food! It’s was pretty good. Not the best but, better than the average sushi place. The sushi is always very fresh and well presented. Love the Spring Citrus Salmon app, always amazing!